We are pleased to inform you that more than 15000 students are benefited with the series of these text books and now we are working to publish these books through video lessons. First, Samskrita Pushpam Level 1 is ready and they are published in our youtube channal Kalidasa Kendram . Kindly subscribe to our channal to the get the updates whenever videos are uploaded. Do not stop with yourself, encourage your friends to learn and also forward to learners and learning groups. 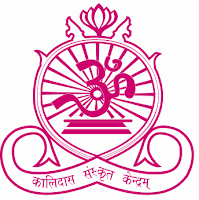 Welcome to Sanskrit Quiz conducted by Kalidasa Samskrita Kendram. 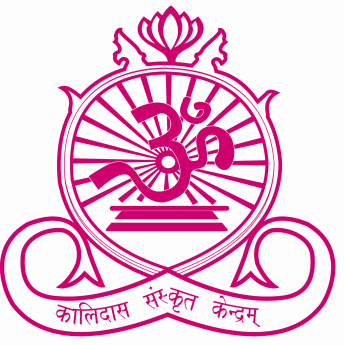 Kalidasa Samskrita Kendram is spreading knowledge through various methods. Sanskrit Quiz a method of learning Sanskrit language and Literature. Here are some of the quiz available always to test your knowledge as well as learning tool for the beginners in Sanskrit. Click the link and respond. Namo nama:! the link of Sanskrit video lessons are given in the previous blog and now we are giving the link for Sanskrit magazine and kindly go through and give your comments. Kalidasa-Samskrita-Kendram publishes Sanskirt magazines occasionaly. the magazine is called "KALIDASA VAANI". The link for the latest issue is given below. kindly go through. The Sanskrit Song Lyric is given below. Watch the videos on Sanskrit words and give your feedback. Do not forget to forward to others. Like, share & Subscribe the youtube channel - kalidasakendram . Watch & enjoy these videos and give your comment. Sanskrit Video lessons will be posted shortly. We want to support our dear Sanskrit students of Class 10 studying CBSE schools all over India and abroad. संख्या समय वाचक शब्दा: कदा, कति ? Ø Duration every day is 2 hours and maximum 30-35 students. Ø This 10 days Sanskrit short term course has been designed based on the Text book “Samskrta Bala Pushpam” published by Kendram. Ø It is an attempt to complete ‘0’ level in 10 days. Ø All the materials available in our blog. Ø Those who are interested to conduct this kindly contact us. Ø External support will be given to conduct these 10 days classes. Ø Kindly update us with the location, country, name of the teacher and the number of students attend. Ø We will also publish the same in our blog this will reach our followers too. Ø We have second level 10 days schedule for these students. Ø All the documents are available in our blog. Visit : http://kalidasakendram.blogspot.com for further details. Ø A model paper is given in the same blog. Kindly use it as sample paper. Ø We will provide the question paper for final exam. Ø You will send these papers to us, we will evaluate and declare the result. Ø We will provide certificates for all eligible candidates.